When you get a subscription from an ISP (for example a fibre connection) you will pay for the bitrate that you desire, for example 5, 10 or 20 Mbit. The fibre connection however is capable of sending traffic at a much higher bitrate (for example 100 Mbit). In this case the ISP will “limit” your traffic to whatever you are paying for. The contract that you have with the ISP is often called the traffic contract. The bitrate that you pay for at the ISP is often called the CIR (Committed Information Rate). Limiting the bitrate of a connection is done with policing or shaping. The difference between the two is that policing will drop the exceeding traffic and shaping will buffer it. Allow the packet to pass. Remark the packet with a different DSCP or IP precedence value. Conforming means that the packet falls within the traffic contract, exceeding means that the packet is using up the excess burst capability and violating means that it’s totally out of the traffic contract rate. Don’t worry if you don’t know what “excess burst” is, we’ll talk about it in a bit. We don’t have to work with all 3 categories…we can also use just 2 of them (conforming and exceeding for example). It’s up to us to configure what will happen when a packet conforms, exceeds or violates. Single rate, two-color (one token bucket). Single rate, three-color (two token buckets). Dual rate, three-color (two token buckets). The basic idea behind a token bucket is pretty simple. Every now and then we put tokens in the bucket (we call this replenishing) and each time a packet arrives the policer will check if it has enough tokens in the bucket. If there are enough tokens, the packet is allowed, if not, we will drop it. 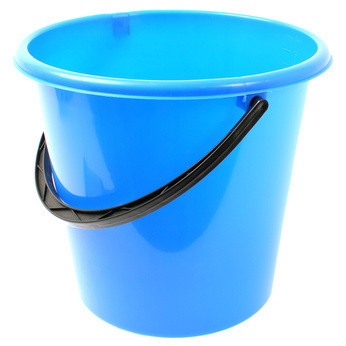 Just like a real bucket, it can only hold a limited amount of tokens. In reality it’s a bit more complicated so let’s continue and dive into the details! Tokens are replenished into the token bucket. When a packet arrives, the policer will check if there are enough tokens in the bucket to allow the packet to get through. When a packet arrives the policer will check if it has enough tokens in the token bucket, if so the packet will be forwarded and the policer will take the tokens out of the token bucket. So what is a ‘token’ anyway? When it comes to policing each token represents a single byte. The second question is how does the policer replenish the the tokens in the token bucket? So the number of tokens that we put in the bucket depends on the time between two arriving packets. This time is in seconds. We will multiply the time with the police rate and divide it by 8. Dividing it by 8 is done so that we have a number in bytes instead of bits. That means we’ll put 8.000 tokens into the bucket. Basically the more often we replenish the token bucket, the less tokens you’ll get. When the bucket is full our tokens are spilled and discarded. If the number of bytes in the packet is less or equal than the number of tokens in the bucket, the packet is conforming. The policer takes the tokens out of the bucket and performs the action that we configured for conforming. If the number of bytes in the packet is large than the number of tokens in the bucket, the packet is exceeding. The policer will leave the tokens in the bucket and performs the action for exceeding packets. With this single rate two-color policer conforming probably means to forward the packet, and exceeding means to drop it. You can also choose to remark exceeding packets. Let’s continue with the second type of policer! When the number of bytes in the packet is less or equal than the number of tokens in the Bc bucket the packet is conforming. The policer takes the required tokens from the Bc bucket and performs the configured action for conforming. If the packet is not conforming and the number of bytes in the packet is less than or equal to the number of tokens in the Be bucket, the packet is exceeding. The policer will remove the required tokens from the Be bucket and performs the corresponding action for exceeding packets. If the packet is not conforming or exceeding it is violating. The policer doesn’t take any tokens from the Bc or Be bucket and will perform the action that was configured for violating packets. Simply said, if we can use the Bc bucket our packets are conforming, when we use the Be bucket we are exceeding and when we don’t use any bucket it is violating. How are you doing so far? We have one more policer type to cover! The dual rate policer with two token buckets also has a bursting feature but it works differently compared to the previous (single rate, three-color, two token buckets) policer that we discussed. Dual rate means that we don’t work with a single rate but we have a CIR and PIR (Peak Information Rate). This new PIR is above the CIR and allows us to burst. Packets that fall under the CIR are conforming. Packets that exceed the CIR but are below the PIR are exceeding. Packets above the PIR are violating. It depends what you want to achieve. For example, the ISP will probably use policing since they don’t want to waste resources to buffer customer packets exceeding traffic. The customer however probably doesn’t want packet drops so they will configure shaping to match the rate that the ISP polices at. Also keep in mind that shaping adds delay so it’s not a good idea to use this for realtime traffic like VoIP. Policing is typically implemented by ISPs to limit the traffic of their customers so it will depend on the traffic contract that they sell you. The single rate two color policer might be a bit unfair since it doesn’t allow bursting. With a CIR of 128kbps then you’ll only be able to reach 128kbps if you keep sending traffic non-stop. How actually we calculate the BC and BE base on the CIR. What is the standard we should set? Is the calculation below correct? How Be is calculated depends on what type of policer is being used. With a policer, each token represents a single byte so that’s how you know the size of the bucket. When you police at 128000 bps, that’s a bucket that can store 128000 / 8 = 16000 bytes. NetworkLessons.com has exactly what you need from beginner to advanced lessons. I was struggling with a BGP configuration and found exactly how to solve it in one of the BGP lessons they provide. They are very detailed and simple to follow. Let the experts here lead you down the right path and right way to learn. Don't depend on the many incorrect methods you may find elsewhere on the net. NetworkLessons.com is very useful and organized. It is a GREAT reference for study and work. I am depending a lot on their website for my CCIE preparation. Thanks! NetworkLessons.com has clear and informative lessons about almost every single topic I've come across in my CCNP studies. René and his team have done an incredible job. They even put the official Cisco Press books to shame. Absolutely worth the subscription price, can't recommend it enough.